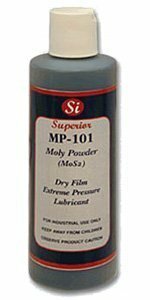 Pure Molybdenum Powder | Lubricant Additive | Superior Industries, Inc.
MP-101 is a pure Molybdenum Disulfide technical grade dry lubricant powder that has an extremely low coefficient of friction. It is a finely ground powder that is dark grey in appearance. Molybdenum Disulfide’s (MoS2) atomic make up is a sandwich of molybdenum between two sulfur atoms. MoS2’s hexagonal crystal platelets slide over each other and are attracted to metallic surfaces. The force of moving metal parts rubbing over each other provides the thermo chemical reaction required to form armor like coating on these parts. It is typically know as a transition metal and is insoluble in water and un-reactive toward dilute acids. MP–101 is an excellent oil additive used to promote longer running cycles for mechanical parts even in cases where there has been considerable loss of oil. MP-101 is engineered to operate under extreme pressures up to 500,000 psi. It is designed to meet or exceed United States Military Specifications: MIL-PRF-7866C (MIL-M-7866C). MP-101 is heat stable from -375°F (-226°C) to 750°F (399°C), and is serviceable up to 2000°F (1093°C) in the absence of oxygen. MP-101 is an excellent lubricant that adheres to most surfaces even when there are other chemicals and solvents present. It is Ideal for extreme harsh environments including dust, dirt, harsh chemicals and abrasive atmospheres. 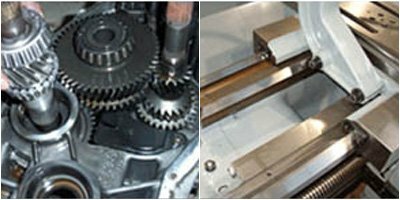 MP-101 helps to extend the life of metal parts such as cams, latches, switches, low speed bearings, ways, gears, chains, rollers, hinges and much more. It reduces friction and prevents galling or seizing in all types of metalworking applications such as stamping and bending. MP-101 can also be used to lubricate surfaces exposed to extreme loads. MP-101 is also safe for plastic and rubber parts. It reduces friction, torque, fretting, corrosion, galling and seizing. MP-101 resists gaseous oxygen, radiation, liquid, chemical and vacuum environments to lubricate bearings, forming dies, threaded parts, and electrical contacts in relay switches. Burnish MP-101 onto O rings, packing and seals where conventional oil lubricants cannot be used. MP-101 is applied by simply burnishing it into the surface area of the metal by rubbing with a lint-free cloth. 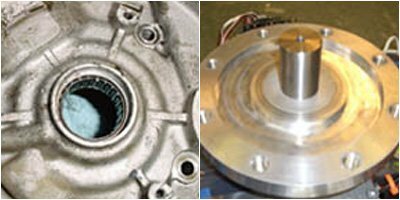 Other applications include using a buffing wheel impregnated with MP-101 to burnish the product into derby axles and wheels. It is packaged in eight ounce squeeze bottles, which are available in six, twelve and twenty-four bottle cases. MP-101 is also available in two bulk size containers (one gallon and five gallon).